Hi, everyone! This is Nina from Moscow! Yui, thank you for the delicious excursion to the world of the Japanese food. I’m already checking up the list of the Japanese food restaurants in Moscow. Summer is over but…don’t you smell anything? That is why you won’t meet students or teachers and professors in the streets. So summer is a very special period in the life of citizens. 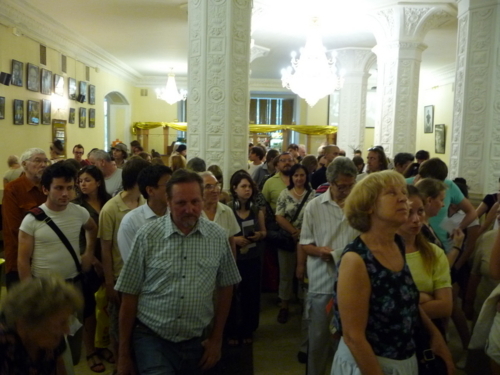 That’s why in our Moscow Office we also have a special program of events in summer. This year we held a range of so called Kamishibai- performance with telling a fairy tale and showing pictures illustrating this story to the spectators - for the first time. 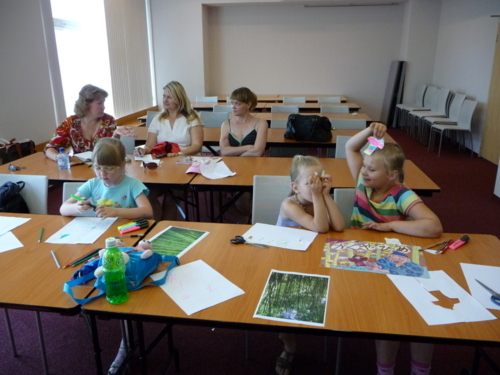 We told our youngest visitors (girls and boys of 5-7 years old) 4 japanese fairy tales using illustrated cards. The stories were: “Issun-Boushi” (“The one-inch boy”), “Kaguya-hime”(“Princess Kaguya”), “Kazuko to Noboru no Hinamatsuri”(The Japanese Doll Festival of Kazuko and Noboru) and the last one – “Tsuru no ongaeshi”(“Crane’s gratitude”). 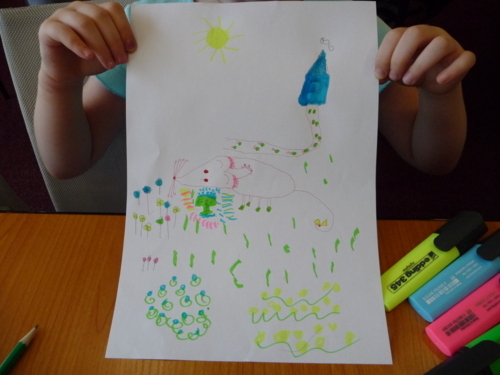 After each fairy tale we were asking children different questions about the content of the story, folding paper into different figures with them, painting nice characters of a story and the ones children didn’t like that much. 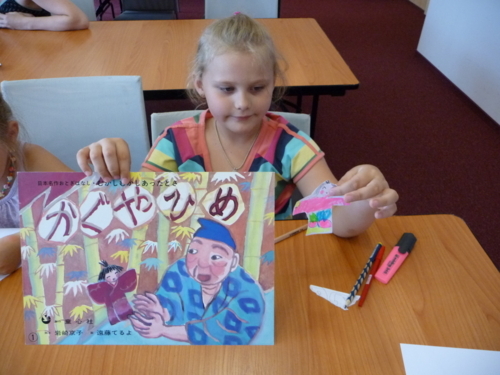 When “Princess Kaguya”fairy tale was finished I asked girls what they would choose if they had been Princess Kaguya: to go back to her parents’ place or to stay with the Prince (Emperor). 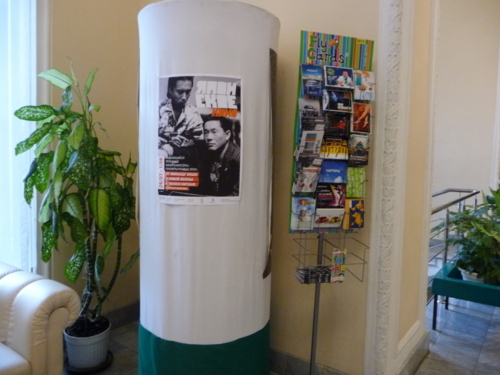 （There are two illustrated fairy tales of “Princess Kaguya”in Moscow Office. I was wondering which one is the original and find out that there are several versions of the story. According to the story I chose (one of the two we have)　after five princes, who were trying to make Princess Kaguya fall in love with them but failed, the Emperor proposed to the Princess but she refused explaining that she came from another Planet and has to go back there because her parents are waiting for her there. )The girl that was the first to answer said that she would definitely go back home. The other girls’ answers were the same. 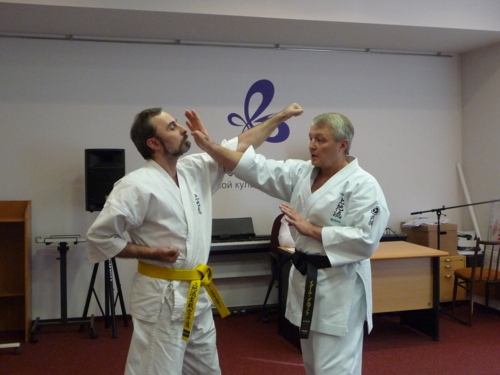 The next event of our special summer program I would like to tell you about is a lecture and a workshop in martial arts. 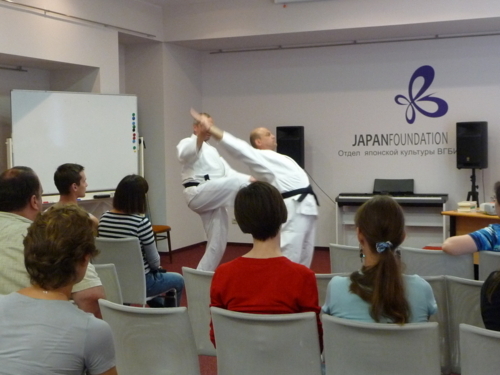 While the professor in martial arts was telling a brief history and the main principles of the martial arts Russian teachers of Kendo(Japanese swordsmanship),Aikido(a Japanese art of self-defense), Japanese archery, Judo and Karate were showing visitors techniques of each art. And the last event I would like to say a few words about is a movie festival of the famous film directors’ movies, which were produced between 1950 and 1990’s. The film that attracted everybody’s attention is “The Ballad of Narayama”by Imamura Shohei film director. It was the third time“The Ballad of Narayama”was showing on at Moscow’s cinemas. This time the cinema was so crowded that the space was hardly enough for those, who had already been watching it standing. One may think that it happened because it is very hard to get “The Ballad of Narayama”in Russia. But what I believe is that the story itself is so touchable that each time we have it on in the cinema no movie fan can resist the temptation of watching it again. That is why I strongly recommend everyone to watch this movie! I promise you: you won't be able to stay indifferent to the story!